With our new Green Backs program, you are in charge of your discount destiny! Your volume discount is based on how many trees you order, and now if you buy one tree you get $50 off your second tree! Delivery is FREE for all orders within our service area! 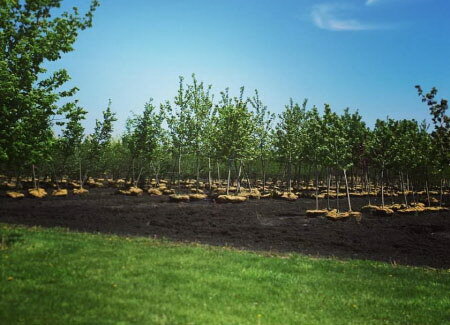 We will deliver your trees and place them right next to the planting location in your yard. If you choose this option, your tree will be covered by our iTrees.com Assurance Standard Warranty which covers your tree 50% for one year after delivery. This full-service option includes delivery and planting of your tree, mulching around your new trees, sod/dirt removal, and our iTrees.com Assurance Full Replacement Warranty. Please choose a one, two, or three year warranty term- this warranty cover the tree and labor 100% for one, two, or three years after planting. For more information on our delivery and planting options, or our warranty options, please check out our FAQ’s. Stark and rugged in the winter, the Kentucky Coffee Tree’s picturesque native, midwest look becomes tropical in appearance in the summer. Kentucky Coffee Tree features huge fans of doubly compound green leaves which emerge to cast filtered shade. Kentucky Coffee Tree is a very large, tough shade tree that has become extremely popular in recent years. Parkways, front yards, and backyards are great locations for this unique and newly popular tree. Kentucky Coffee Tree should be grown in full sunlight. It is very adaptable to both dry and moist locations, and should do just fine under average home landscape conditions. It is considered to be drought-tolerant. 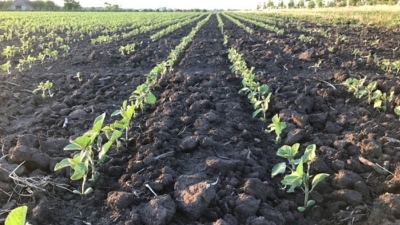 Cover crops are a big advantage to the nursery soil. Learn why! 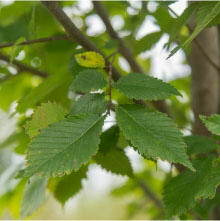 Learn more about iTrees.com's fall planting season! 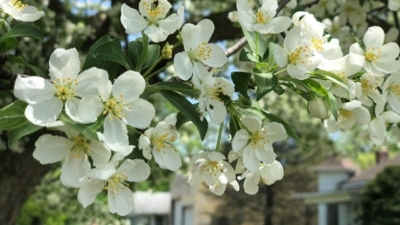 We've compiled our top 5 tree types to plant if you want to up your curb appeal and property value game! Be sure to check out the *Bonus Video* at the end of the blog post. 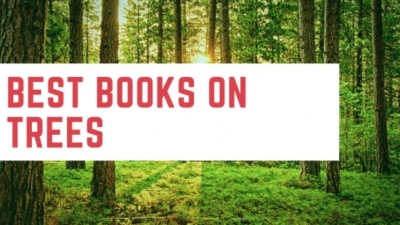 From books for young readers and adults to children's books... we've got you covered with our list of the best books on trees! 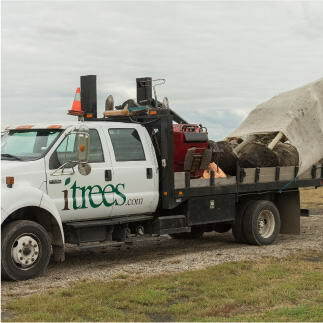 Delivery is included free on all tree plantings within our service area! 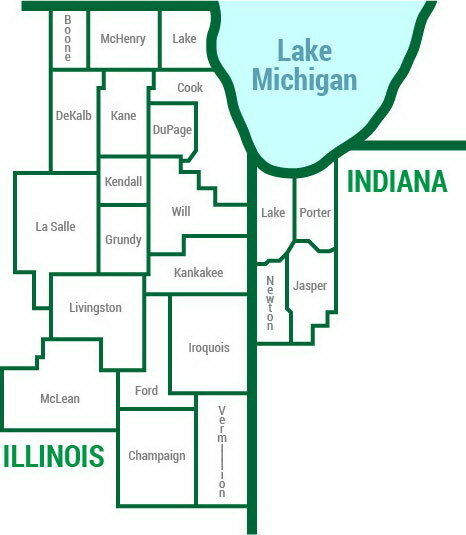 Our current service area includes the following counties in Illinois and Indiana. We are always expanding our service area, so please check with us if you are in a nearby county which is not listed. 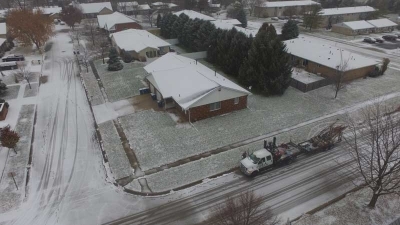 If your county is outside of our service area we may still deliver and install- your order may be subject to minimum tree quantities and/or additional delivery charges - please contact us for more details. Interested in Picking Out Your Tree in Person? 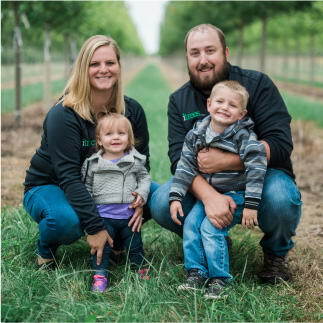 We welcome our customers to come visit the farm, and pick out their trees in person! Our holding yard is conveniently located about 30 min southwest of Joliet, IL. Our holding yard is open by appointment only, so please contact us first to schedule your tagging appointment. We begin scheduling tagging appointments around May 1st. Tagging appointments are available Monday-Friday 9am-5pm. Trees are tagged at our outdoor holding area on the farm. Rain can cause excessively muddy conditions, and appointments may have to be rescheduled due to weather. Please dress appropriately and bring rubber boots in case of wet conditions. To schedule your tree tagging appointment, please contact us! 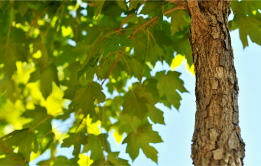 Shade trees (single trunk) are measured by caliper. The caliper of a tree is measured by the thickness (diameter) of the trunk, so a 2.0 inch caliper tree means that the trunk is 2 inches in diameter. The caliper is always measured 6 inches above the ground on the trunk of the tree. The term "single trunk" means that the tree has one trunk from the ground to the lower branches- the lower branches in shade trees are typically pruned at between 5 and 6 feet above ground. Below are the approximate heights for shade trees based on the caliper size easiest! Multi-Stem Clump Trees (Multiple Trunks) are measured by height from the ground to the top branches of the tree. A multi-stem clump tree is a single tree with multiple trunks coming out of the ground, or a close grouping of trees with multiple trunks. Typically multi-stem clump trees have branches starting out at or near ground level; however, these branches can be pruned up as desired. 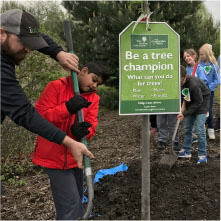 An 8 foot tall multi-stem clump tree means that the size of the tree will be approximately 8 feet from the top of the root ball (top of the ground) to the top branches at the time of planting. 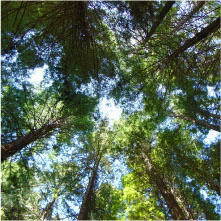 Evergreen Trees are measured by height from the ground to the top branches of the tree. Typically, evergreen trees have branches starting out at or near ground level; however, these branches can be pruned up as desired. It is extremely common for the bottom branches of evergreen trees to suffer dieback, and need pruned out, after transplant- and as they grow. A 7-8 foot tall evergreen tree means that the size of the tree will range between 7 to 8 feet tall from the top of the root ball (top of the ground) to the top branches at the time of planting. ITREES © 2017. All rights reserved. Design by Wicked Cool Studios.